Dr. Brené Brown, renowned researcher and #1 New York Times bestselling author of The Gifts of Imperfection, Daring Greatly, Rising Strong, and Braving the Wilderness, revolutionized our understanding of relationships with her ground-breaking research on courage, vulnerability, shame, and empathy. Her TED talk – The Power of Vulnerability – is one of the top five most viewed TED talks of all time and has inspired over 29 million viewers around the world to live more wholehearted lives. Now you can join Brené and hear first-hand how her work can enhance both your professional and personal life. 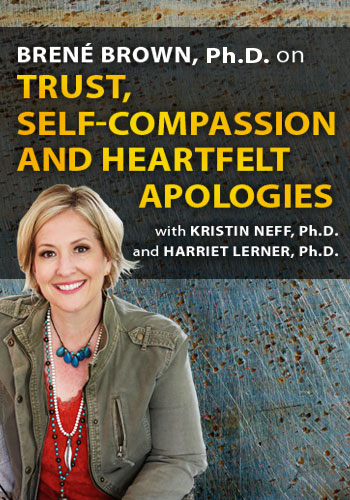 In this exclusive, new online CE course, Brené is joined by self-compassion research pioneer Dr. Kristin Neff and renowned psychologist and author Dr. Harriet Lerner to show you how the power of Trust, Self-Compassion and Heartfelt Apologies can transform relationships and establish meaningful connection in life. Through three engaging and experiential modules, you'll learn practical, research-based strategies and techniques that you can apply in all aspects of life – as a clinician, colleague, leader, partner, parent and friend. with Kristin Neff, Ph.D. and Harriet Lerner, Ph.D.
Limited Time Only 199.95 AUD — An Amazing Value! Earn up to 5.75 CPD Hours included in the course tuition! 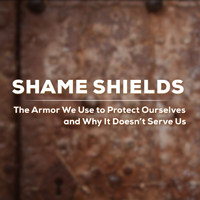 “I’m not worthy or good enough for love, belonging, or connection.” This is the voice of shame, the universal emotion we're afraid to talk about. The less we talk about it, the more we have it...and the more likely we are to struggle with addiction, trauma, aggression, depression, eating disorders, bullying and more. Earn up to 5.75 CPD Hours — included in the course tuition! 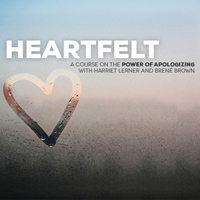 Brené Brown, Kristin Neff, and Harriet Lerner share their knowledge and experience in three engaging modules, which include teaching videos, powerful exercises, and valuable PDF materials. Click here for course objectives and outline. Review all the course materials at your own pace and at your convenience! Watch your email for the order confirmation and link to get immediate access to all course videos and materials online, plus downloadable PDF exercises to work through with the training. Complete your online CPD tests and earn up to 5.75 CPD Hours! Click here for total course CE Credit and approval details specific to your profession. Brené's TED talk – The Power of Vulnerability – is one of the top five most viewed TED talks in the world with over 35 million views. 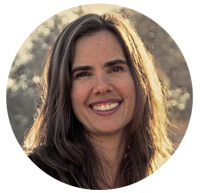 Kristin Neff, Ph.D., is a pioneer in the field of self-compassion research, conducting the first empirical studies on self-compassion over a decade ago. Kristin’s work has received extensive media coverage, including The New York Times, MSNBC, National Public Radio, Reader’s Digest, and Psychology Today. Kristin is also featured in the bestselling book and award-winning documentary The Horse Boy, which chronicles her family’s journey to Mongolia where they trekked on horseback to find healing for her autistic son. She is currently an Associate Professor of Human Development and Culture at the University of Texas at Austin, and provides workshops and program on self-compassion worldwide. 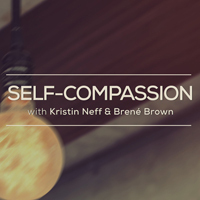 Kristin is author of the book Self-Compassion. Harriet Lerner, Ph.D. is one of our nation's most respected voices on the psychology of women and marriage and family relationships. For three decades, she was a staff psychologist and psychotherapist at The Menninger Clinic in Topeka, Kansas, and a faculty member and supervisor in the Karl Menninger School of Psychiatry. 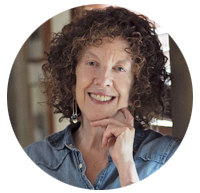 Currently in private practice in Lawrence, Kansas, she is the author of numerous scholarly articles and 11 books, including the New York Times best-seller, The Dance of Anger. Lerner has been a guest on Oprah, CNN, NPR and numerous other media. She is also, with her sister, an award-winning children's book author, and she hosts a blog for Psychology Today and The Huffington Post. Financial: Brené Brown is the CEO for The Daring Way and Founder and CEO of COURAGEworks and Brave Leaders Inc. She is a research professor at University of Houston Graduate College of Social Work. She is an author of numerous books and receives royalties from various publishers. Dr. Brown receives compensation as a speaker for numerous other organizations. 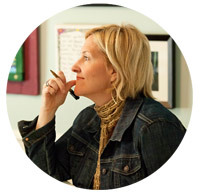 Brené Brown receives a speaking honorarium from PESI, Inc. 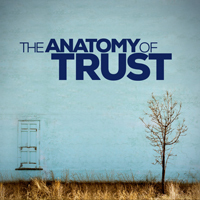 Non-financial: Brené Brown has no relevant nonfinancial relationship to disclose. Financial: Kristin Neff is an associate professor at the University of Texas at Austin. She receives a speaking honorarium from PESI, Inc. Non-financial: Kristin Neff has no relevant nonfinancial relationship to disclose. Financial: Harriet Lerner is in private practice. She receives speaking honorariums from multiple organizations. She is an author and receives royalties from multiple publishers. Dr. Lerner receives a speaking honorarium from PESI, Inc. Non-financial: Harriet Lerner has no relevant non-financial relationship to disclose.